There are no second acts for the dead...or are there? For over 20 years, retired NYPD officer and PI Moe Prager has been haunted by the secret that would eventually destroy his family. Now, two years after the fallout from the truth, more than secrets are haunting the Prager family. 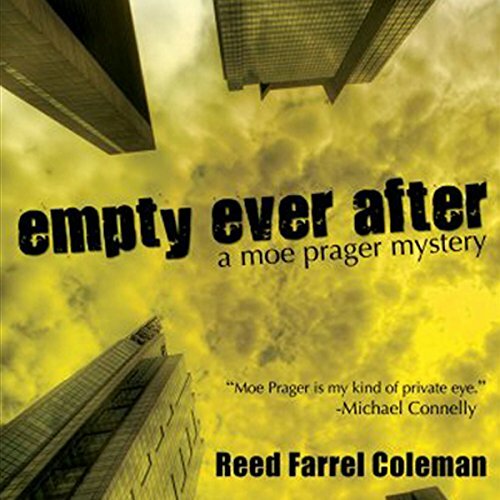 Moe Prager follows a trail of graverobbers from cemetery to cemetery, from ashes to ashes and back again in order to finally solve the enigma of his dead brother-in-law, Patrick. He plunges deeper into the dark recesses of his past than ever before, revisiting all of his old cases, in order to uncover the twisted alchemy of vengeance and resurrection. Will Moe, at last, put his past to rest? Will he find the man who belongs in that vacant grave or will it remain empty, empty ever after? ©2008 Reed Farrel Coleman (P)2010 Audible, Inc. This is a great series and the narration makes for adds to the overall enjoyment.